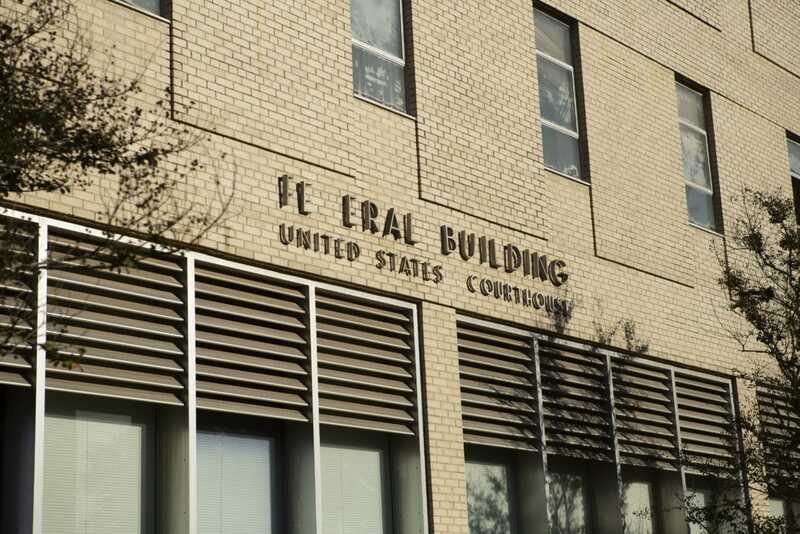 The gist: The old federal courthouse renovation project appeared doomed last month after council members pounced on purchase provisions that placed the risk of cost overruns on Lafayette Consolidated Government. But new changes to the contract now make the deal an outright $1.4 million sale that requires the development team to pay for sewer upgrades and removing asbestos. A game changer: That’s how Councilman Bruce Conque describes the revision. The original deal put the $1.4 million purchase price in escrow, with excessive expenses for the project to be paid from that pool of money. In October, Conque and other council members shredded the contract at introduction, fuming that the deal put too much power in the developer’s hands and gave approval of overages to the mayor-president rather than the council. In particular, the deal would take the unusual step of saddling city-parish government with the cost of sewer upgrades needed to accommodate the 68-unit, 25,000-square-foot complex. Developers, in most cases, pay some of the upfront costs for utilities. Downtown and the city’s urban core more broadly are virtually out of sewer capacity. The revised purchase agreement appears to hit all major concerns levied thus far: The sale is a lump sum transaction that requires the development team to pay for peripheral infrastructure needs. “I’m thrilled,” says Conque. “This benefits everyone, and this project can now move forward. It’s not quite over. Conque and Jay Castille, another staunch opponent of previous redevelopment attempts, will propose two other amendments to the contract, one to prevent the developer from sitting on the project by eating penalty fees against rising costs, and another to require that the facility’s appearance conform to the city’s Unified Development Code. The previous version gave the mayor-president approval of the complex’s facade. Earlier this year, Mayor-President Joel Robideaux unilaterally selected the team behind the project, led by developer Jim Poche, architect David Weinstein and Ed Krampe, a personal friend of Robideaux’s. Counting chickens: No vote is final before it’s cast, but early indications place the support count at eight. One of the assumed no votes, Boudreaux, will not be at Tuesday’s meeting after announcing health complications associated with a cancer diagnosis earlier this week. 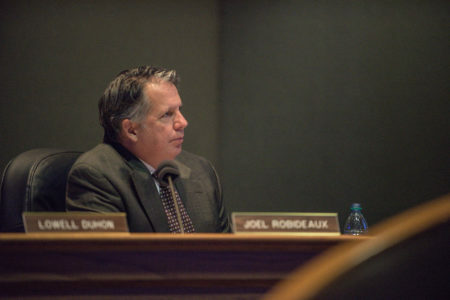 With a majority reportedly on board, approval of the contract would be a significant win for Mayor-President Joel Robideaux after months in the doghouse over his pursuit of a deal to privatize management of LUS. Lafayette needs to replace $10 billion in local GDP in the next five years or risk losing an entire generation of thinkers and doers. 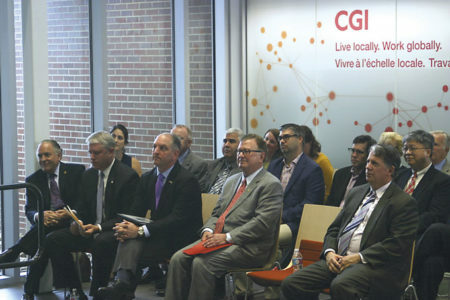 While headlines have focused on the creation of 400 jobs, there's a lot more to unpack about the benefits to Lafayette's digital economy. 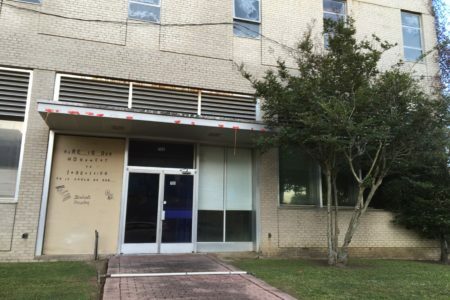 The gist: Mayor-President Joel Robideaux wants to reappropriate $18 million of surplus library funds to pay for drainage and road projects. If the council approves the move, the proposition would go before voters in May.